A Rajasthani Romeo in one corner, three men getting cliquey on a motorcycle in another corner – this is Rajasthan for you! The Land of Kings is sure to seduce the most cynical of minds. It is a state that needs to be experienced with all five senses! Rajasthan is a state where you’ll find the perfect blend of colors and hustle-bustle in India. Whimsical forts and palaces crumbling hidden stories, varied bold colors in people’s clothes and headwear, cows moseying right in the middle of busy streets are sure to leave your eyes wide in anticipation – anticipation of what more could be anticipated. No wonder, Rajasthan tourism is burgeoning by the day. Instead of covering a few cities separately, we planned on doing a full-fledged road trip to the three prime Rajasthan cities – Jaipur, Ajmer, and Jodhpur. Before taking a detailed peek into the major attractions and places to visit in Rajasthan, let’s take a brief look at the culture, food, and budget in which you can plan your road trip. Take a peek into the route taken. There’s a reason why we took a halt in Jaipur on our way back to Delhi – we had a day reserved entirely for glamping in Jaipur. 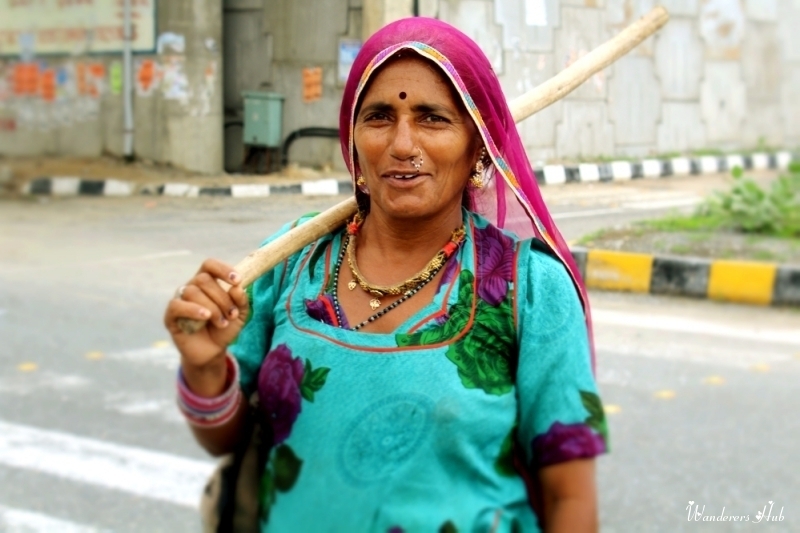 A glimpse of the ancient Indian way of livelihood is reflected in the culture of Rajasthan. It is a state of India that conforms to the preset notions of the country: Royalty, Maharajas, Colorful Clothes, Turbans, Palaces, Snake Charmers, Magicians, and Mahouts. Completely inundated in royal magnificence and enigmatic history, Rajasthan is a globally famous tourism destination. 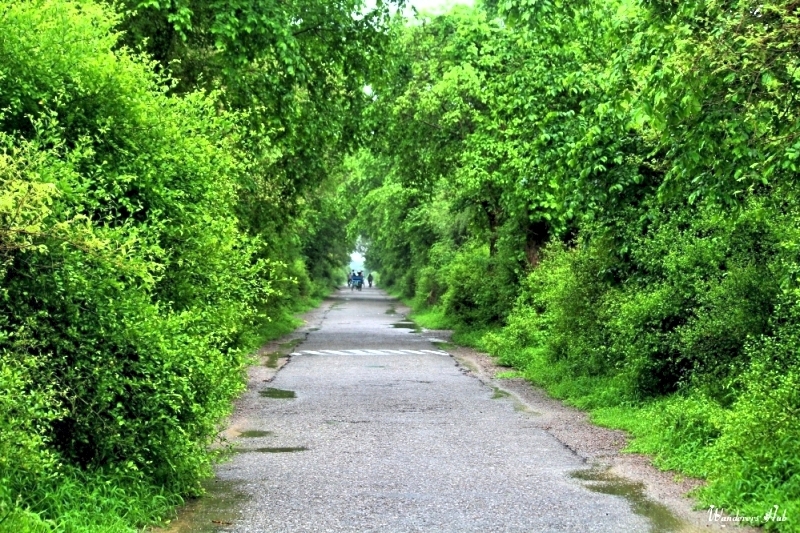 Besides the rich heritage and traditions, the state is rich in flora and fauna as it boasts of some of the most popular wildlife parks and sanctuaries. We were besotted by the intricately carved Havelis and temples we got to explore during our Rajasthan trip. It sure is a glittering jewel set in the sands of a barren landscape that is known for its brightness, vibrancy, flashily dressed people, gorgeous jewelry, undisturbed traditions. I sure love watching ladies flaunt their colorful Ghaghara cholis with élan. In fact, when visiting conservative countries, it’s best to pack accordingly. The culture of Rajasthan is an experience in itself. And when in the city, it is best to become a part of it and enjoy it with the flow. Self-drive on the roads of Rajasthan is an experience altogether. Though the roads are prim and proper, there can be many unexpected obstacles or I should say guests waiting for you while driving. 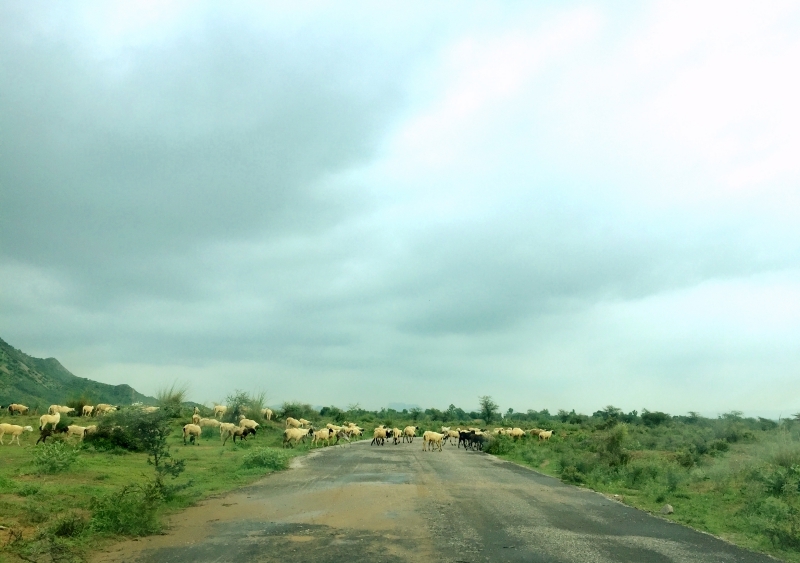 The one major problem we faced while driving on the Delhi-Ajmer Highway was sauntering of cows in the mid of roads, which could easily lead to accidents. Though there aren’t dubious roads or a lot of jarring stretches, a child running through the road can create a problem when your vehicle is moving at 90-100kms/hour. 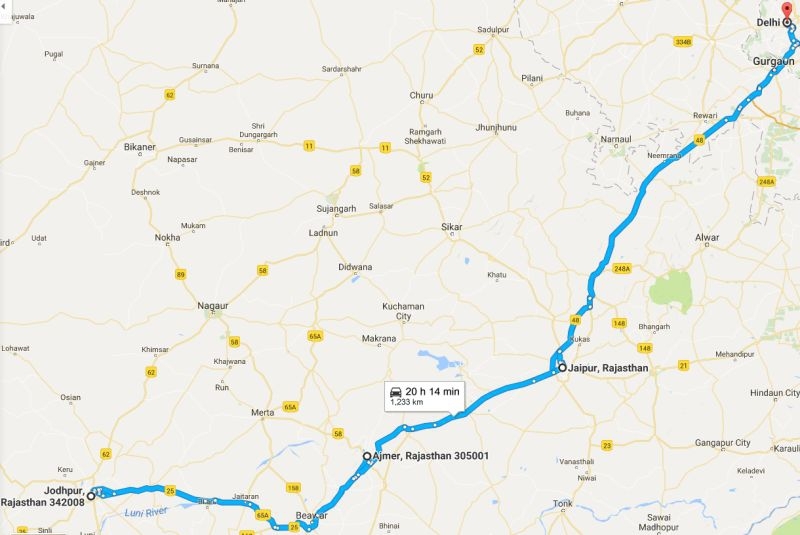 Having said that, I’ll still recommend a road trip to Rajasthan for the drive is lovely, especially the highway connecting Ajmer and Jodhpur. 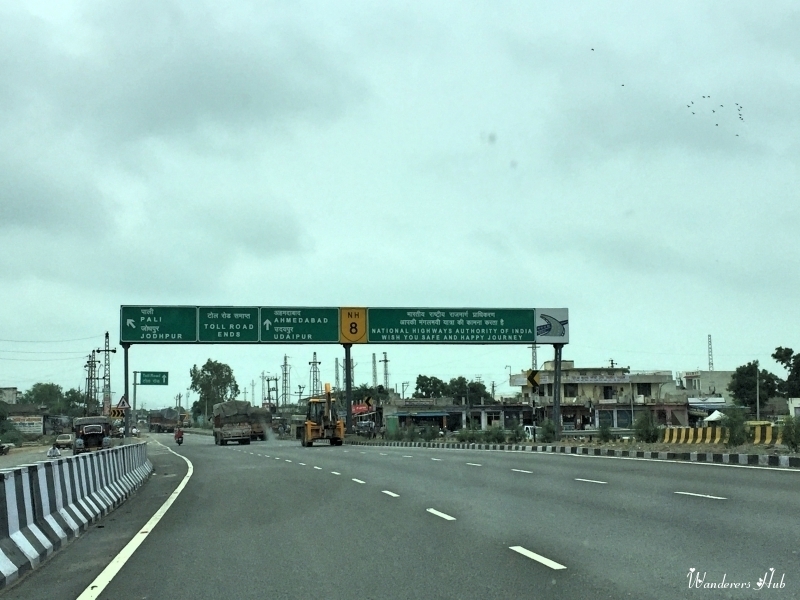 Before embarking on Rajasthan road trip, make sure you’ve read our article on tips to be safe while driving in Rajasthan. Rajasthani cuisine is basically a variety of vegetarian dishes peppered with good amount of spices as well as garnish. 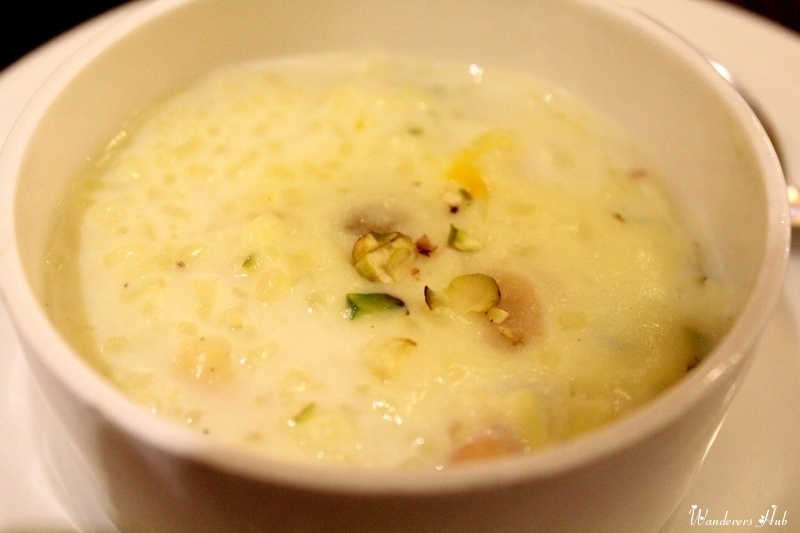 Desserts are a mandatory part of the meals and are served along with the main course only. For foodies, Rajasthani thalis are just heavenly. Dal bati churm, ghevar, gate ki sabzi, ate ka malpua, besan-chakki, raabdi, mawa kachori, churma, pyaz ki kachori, khaddi, and moong dal halwa are some of the mouthwatering Rajasthani indulgences. 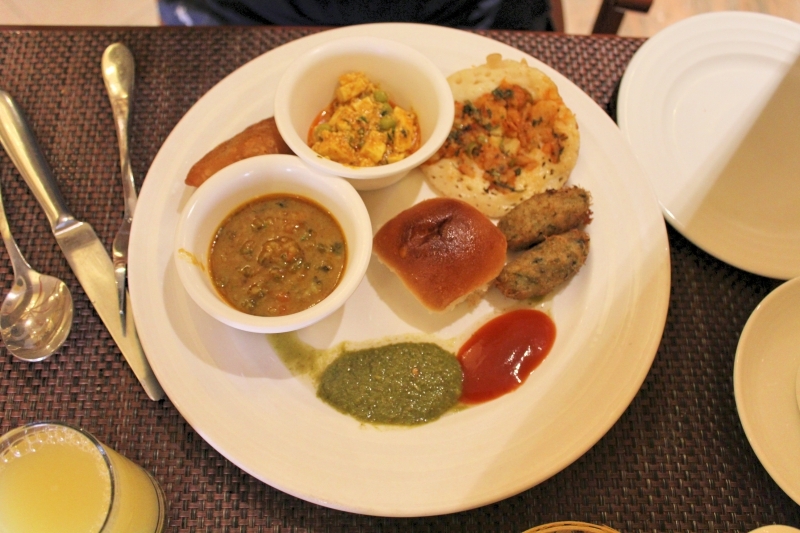 The best part is food in Rajasthan is plentiful and readily available. There’s absolutely no staying away from street food in this part of India. You’ll absolutely scream ‘No More’! There are numerous dhabas and restaurants along the way mostly catering to vegetarians. A meal at any roadside dhaba will cost you less than $5 (300INR). 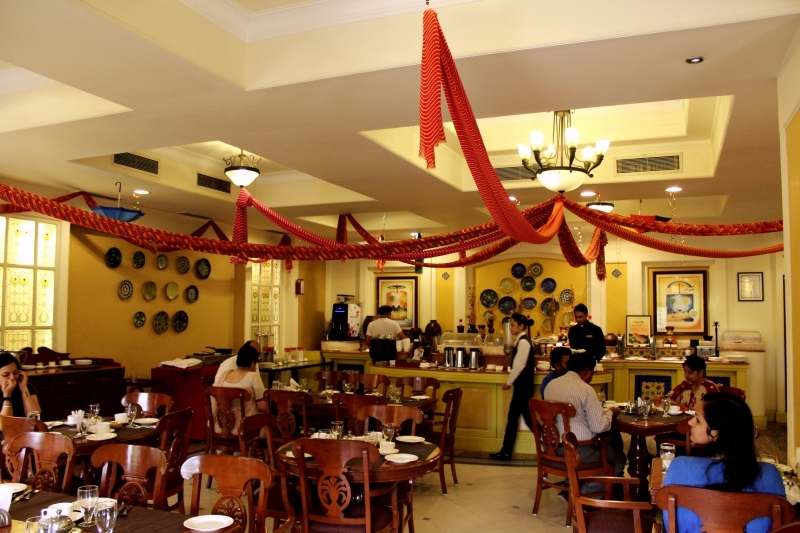 There are many cheap and mid-range restaurants you’ll hit up once you reach Jaipur, Ajmer, and Jodhpur. We’ve listed a couple of our most favorite restaurants and foods we tried in the detailed itinerary of each city. 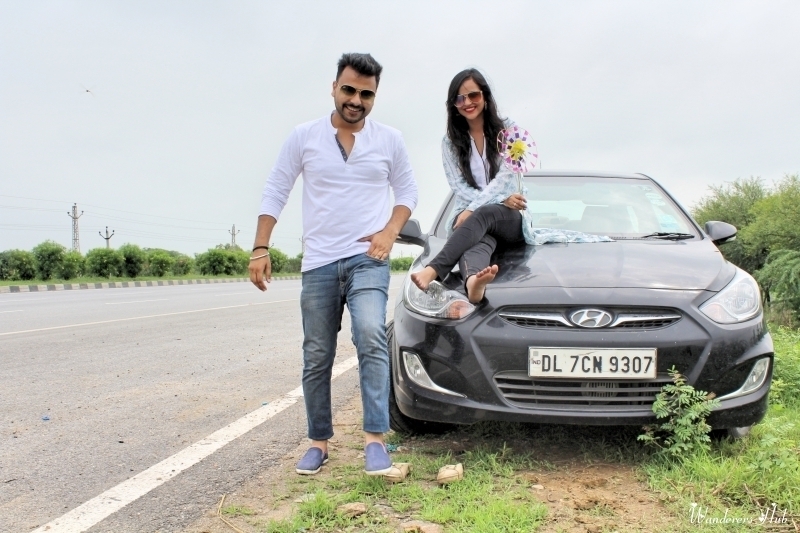 We drove our own Hyundai Verna on the Rajasthan trip and it cost us about 6500INR|100USD for the entire voyage for 6 days. Those who wish to rent a car in India can easily do it in all the major cities. It is recommended to choose a well-known Indian rental company for renting a car. As for the tolls, we shelled out a total of 844INR|12USD in total. Your other expenses would be determined solely by the restaurants you plan to eat in and hotels you choose to stay at. 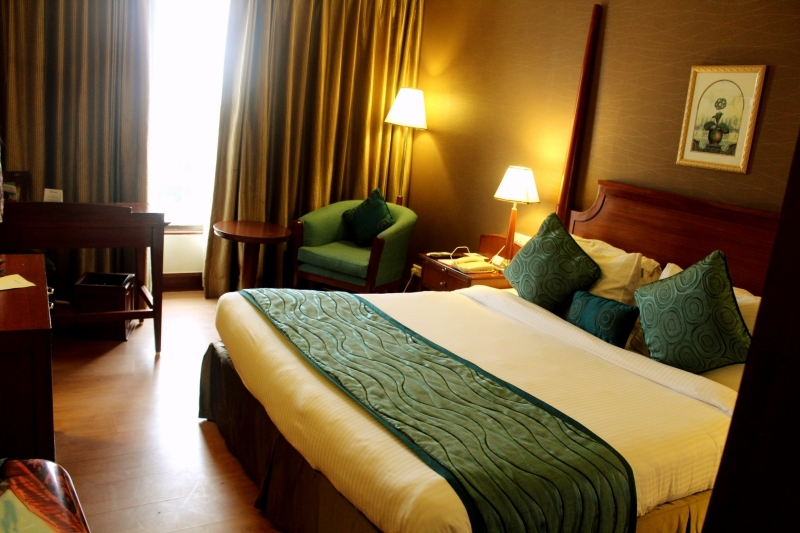 We always like to stay in nice, soothing hotels for any holiday as we don’t like compromising on our comfort. For this one reason, we always book hotels that have good reviews on Trip Advisor. As for our Rajasthan trip, we were least prepared and hence made our reservations, last minute, just on our whim! Thankfully, we weren’t disappointed anywhere. All our hotels were high on comfort level, thus reinstating the fact that Rajasthan tourism is indeed skyrocketing! The pride and joy of the State of Rajasthan, Jaipur is a vibrant city where history, culture, and modernity coalesce. 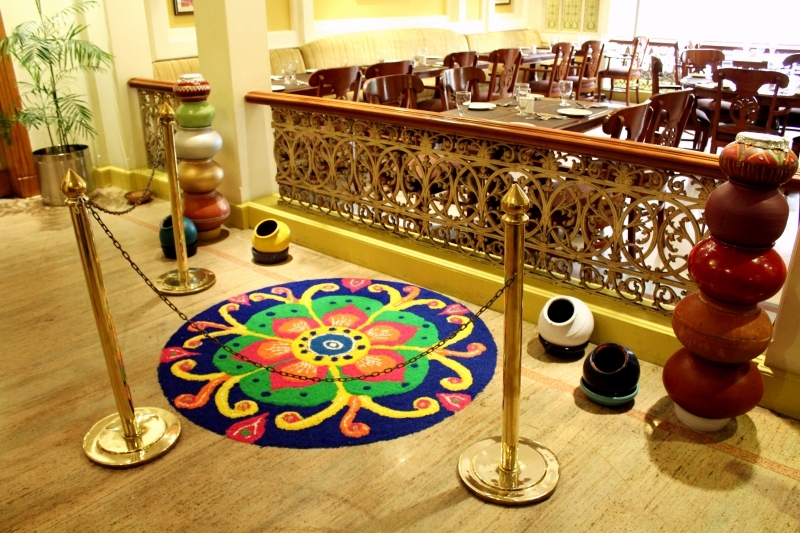 It offers visitors a unique taste of the diversity that truly defines India. Fondly nicknamed “The Pink City”, Jaipur is a hub of sightseeing, shopping, knowledge, and entertainment, where everyone can find something to enjoy. Want to see the abode of an ancient queen? 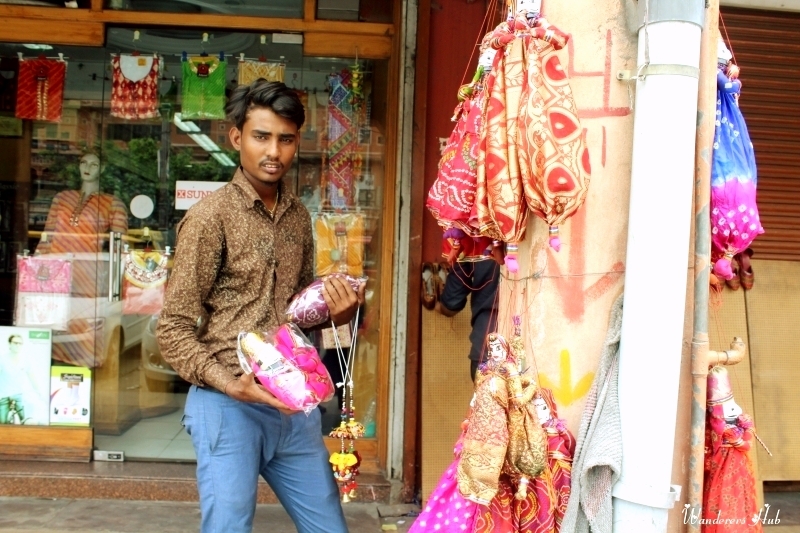 Wish to purchase some hand-crafted authentic Rajasthani goods? Want to learn about the reign of the Mughals? Want to visit a mall and watch a movie? You can do it all here. And the best part is, unlike the bigger metropolises, Jaipur is not too expensive and tourists revel in its relative inexpensive lifestyle. 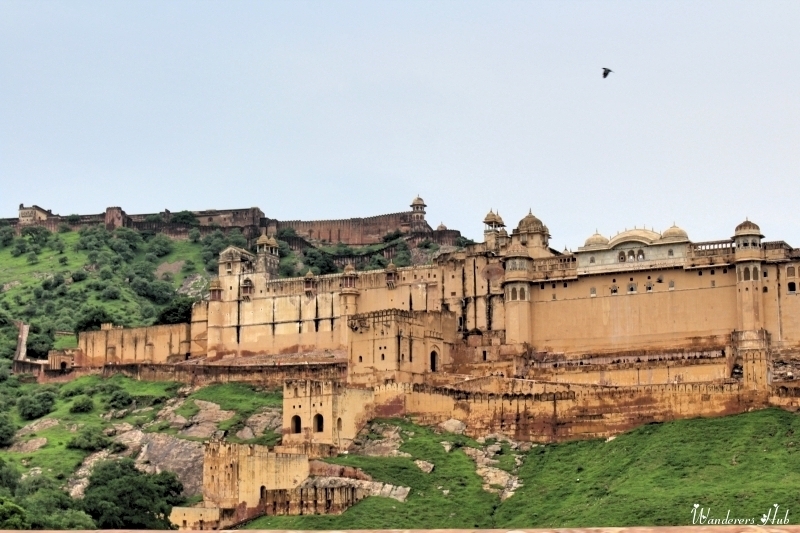 In fact, those out to explore the Western part of India make Jaipur their base town and drive down to the numerous other close-by cities on road trips. So if you’re up for a wee bit of adventure, head to Jaipur! There’s no dearth of hotels in Jaipur and depending on the budget one can opt for the right accommodation. We stayed in Hotel Park Prime, which is conveniently located – 12kms away from Amber Fort. 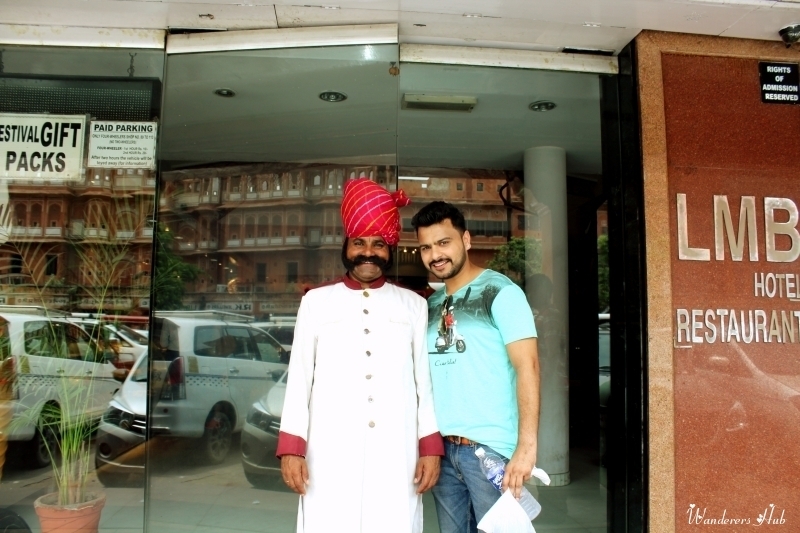 Though we were not too positive about our booking at this Jaipur hotel, to our surprise, it turned out to be way nicer than our expectations. 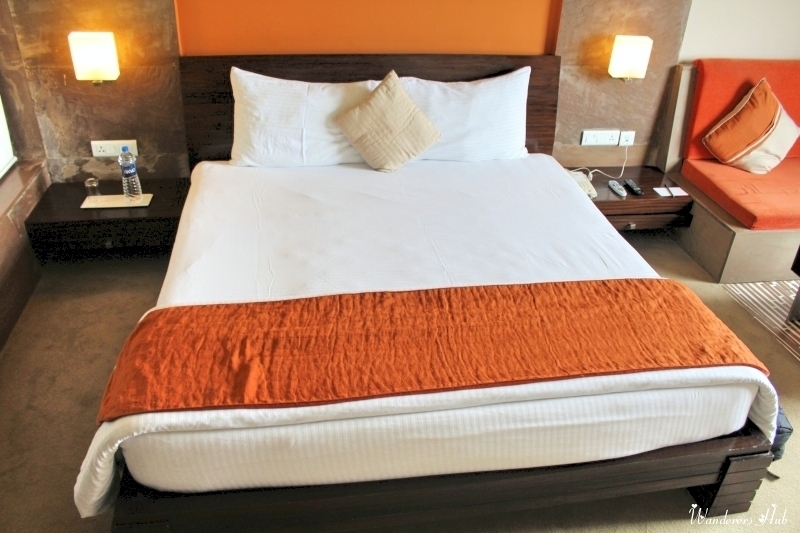 The hotel is well-maintained and has all the facilities to ensure a comfortable stay. I especially loved the buffet section where the decorations were done in tandem to the Sawan Festival. Use of beautiful red dupattas, umbrellas, and rangoli just uplifted our spirits way too much! And in the breakfast, they had a delectable spread of food items to choose from: Pao bhaji, dosa, idlis, vada, paranthas, cold coffee, and a lot more. To top it off, we got the fastest Wi-Fi ever. Win-Win for us! 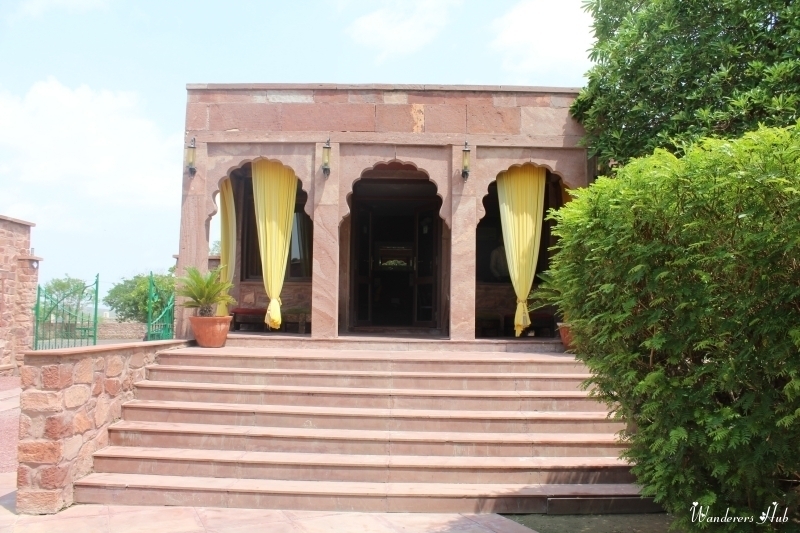 We came back to Jaipur and stayed at Lebua Lodge Amer on the last day of our trip. Read our glamping experience in the luxury tents at Lebua, Jaipur. We had nursed a desire to visit Ajmer Sharif Dargah ever since we got married so instead of going to Udaipur – we changed our plan last minute – went to Ajmer instead. We purposely picked a hotel that was on the highway close to the main city. As we were expecting, Ajmer city was chaotic. Add to that, we had to leave for Jodhpur the next morning so there wasn’t any better option than staying in a hotel that was on the route. Ajmer is a city soaked in culture and copious history. 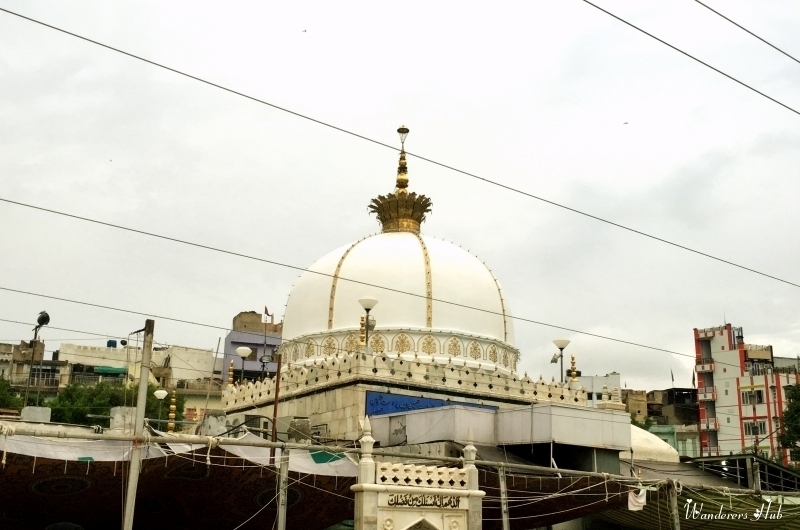 Though there isn’t much to see or explore in the city, it is worth a visit solely for the Ajmer Sharif Dargah, which remains open for the devotees of all castes and creeds. The shrine of Khwaja Muin-ud-din Chishti is a significant Muslim pilgrim center and it witnesses high-voltage traffic on a daily basis. Some serious brainstorming needs to be done when you want to choose a hotel in Ajmer. There are many backpacker sorts of accommodation available in the city, so one needs to put their priorities right. We chose to stay at Country Inn & Suites that was on the Delhi-Ajmer highway and I realized we weren’t the only species to be living over there. Almost all the family crowd was hanging around in that hotel (which wasn’t surprising at all). It’s a mid-range hotel and is perhaps value for money. 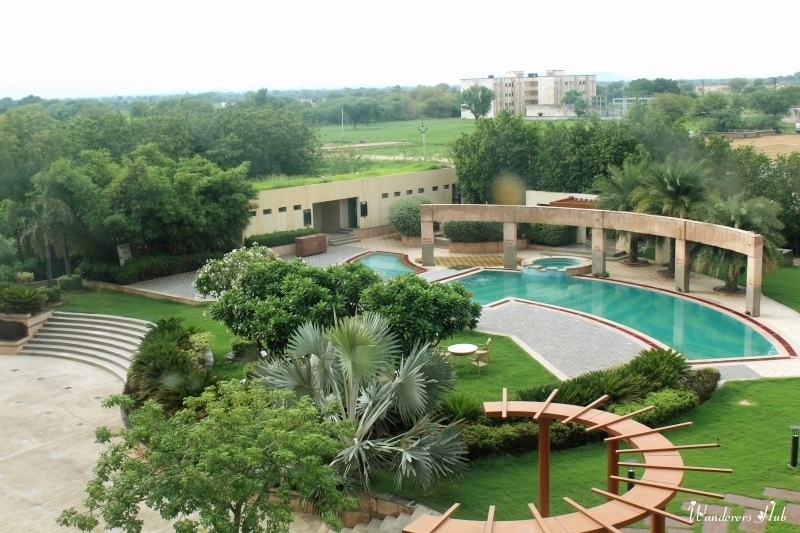 It is ideal for couples and family travelers who wish to avoid the busy lanes of Ajmer and ditch the ruckus. Go for an inclusive package since we just had to spend a night, we got breakfast included and it was well-worth-it! We booked through Goibibo.com and got a good deal of 1350INR | 20USD per night – cheaper than what other portals offer. They have nice poolside rooms – just request them to give you a room with a view. (Don’t expect too much though). Read our top experiences in the Ajmer (opens in new window). Jodhpur city, lying on the foothill of a sandstone hillock looks like a scenic oasis in the expansive desert. 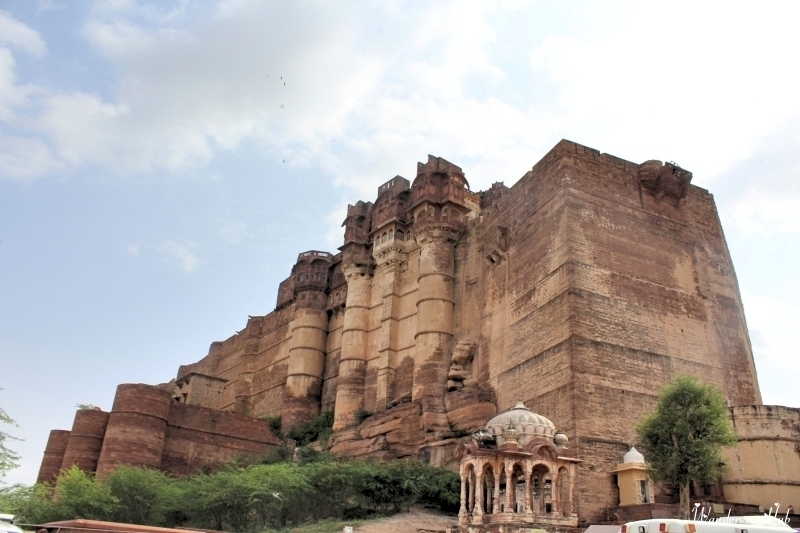 Of course, it is one of the favorite destinations for travelers in Rajasthan. It stands as a proof of juxtaposition of magnificence, traditions as well as culture. We were totally smitten by this imperial city that echoes the anecdotes of glorious past and antiquity in the barrenness of the desert. 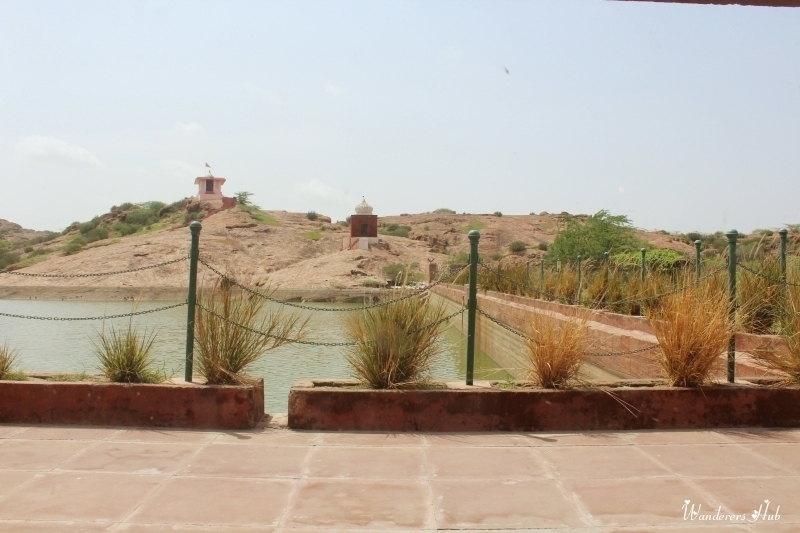 Jodhpur is beautifully dotted with wonderful lakes, enthralling villages, as well as secluded palaces. Enjoy the leisurely pace of rural life in the city and be spoilt for food choices! You are going to love gorging on the scrumptious desserts – be watchful! You’ll end up gaining some calories here and there. I, undoubtedly found this city to be one of the gems of Rajasthan, with so much to do and explore! We booked Bijolai Palace, A Treehouse, last minute as it was one of the nicer budget hotels in Jodhpur, which had all the required facilities. Again we made our booking through Go Ibibo and got a good discount. It cost us 1600INR |24USD a night. We weren’t really pleased with the hotel, which actually is a palace from the outside but doesn’t live up to the hype as far as the rooms are concerned. Even the room service is slack. On our checkout, we even saw a group of people complaining about spending a lot on the rooms and still not getting proper service. They do have rooms with the view but you need to make sure that the curtains are closed all the time as passersby outside can peek into the room. Wi-Fi facility is limited to the reception which is too far from the rooms; so don’t expect Wi-Fi. The reception is quite comfortable and beautiful at the same time; if you don’t mind sitting in the reception, you can enjoy free Wi-Fi too. Only for your love of wildlife sanctuaries should you plan to visit Bharatpur – the eastern gateway to Rajasthan. Formerly known as Mewat, Bharatpur was founded by Maharaja Suraj Mal in 1733 AD. I personally found the town to be noisy and not really visitor-friendly. But if there is one reason why you should be here then it definitely is for the famous and truly spectacular, UNESCO–listed, Keoladeo Ghana National Park. We covered Bharatpur two weeks before visiting the other cities in Rajasthan, and were certainly happy to meet all the cute bird species! Hope this itinerary can help you chalk out your Rajasthan itinerary! If you love India, you must read all our post on the country here. Hello, Thanks for sharing such a fantastic blog.I really appreciate your blog to share information about Rajasthan …Visiting in Rajasthan is amazing experience. This is amazing place with historical monuments and rich traditional culture. best blog…..
Rajasthan is amazing place with historical monuments and rich traditional culture. That’s true! Rajasthan is just so culturally rich… A visit here can leave you craving for more! Great blog..Good information about Rajasthan.Like your information very much..
WOW! It looks like you had an amazing trip! I would love to experience that culture! What an exotic and beautiful location. I love the photos and how much fun it looks! Such a great post and review, I love all the colours and just being able to experience the culture it seems to be really educative and interesting to learn. This would be such an amazing road trip! I agree, there are so many gorgeous colors to see. You stayed at a nice place too. Wow a 20 hour road tip, it always blows my mind when I see people can drive that far without hitting the sea, makes me realise how small this island really is. It looks like you had an amazing road trip and got to see some really beautiful sights. That looks lie an amazing experience. The food looks really good. This would be a great road trip to do, but it is soooo long! I am glad you had fun. This is a great cultural experience for these visiting for the first time. You guys had quiet an adventure! I love the view of the country inn suites. What an awesome experience! I would love to visit some day!